Carissimi amici, come saprete, se avete letto il mio profilo, abito a Cremona. E' una città che offre molti vantaggi, essendo piccola e a misura d'uomo, ma ha un grande difetto : il clima. Sono ormai più di tre settimane che, al mattino, aprendo le finestre, si avrebbe voglia di richiuderle immediatamente e ritornare a dormire. La ragione? Una nebbia terribile e persistente che non si alza nemmeno durante le ore centrali della giornata e ammanta ogni cosa di un velo triste e monocorde. In questi momenti, la nostalgia della bella stagione appena passata diventa sempre più forte e i ricordi si fanno più vividi. Quest'estate sono stata a Cuba e S. Domingo, due autentici paradisi dei Caraibi. 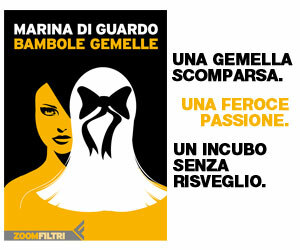 Due paesi che ho apprezzato per tanti aspetti. La gente, cordiale e piena di gioia di vivere. L'architettura e le bellezze artistiche che, soprattutto a Cuba, sono stupefacenti. E poi...La splendida Natura che contraddistingue queste due isole. Il mare, soprattutto, con una trasparenza e dei colori incredibili. La località marina che mi ha colpito di più in assoluto é stata Cayo Guillermo, a Cuba. Un posto incredibile, incontaminato, selvaggio. Ci sono pochissimi resort e una pace che raramente ho sperimentato in un luogo di villeggiatura. Era conosciuta tanti anni fa per la pesca d'altura e Ernest Hemingway era uno dei suoi più assidui frequentatori. 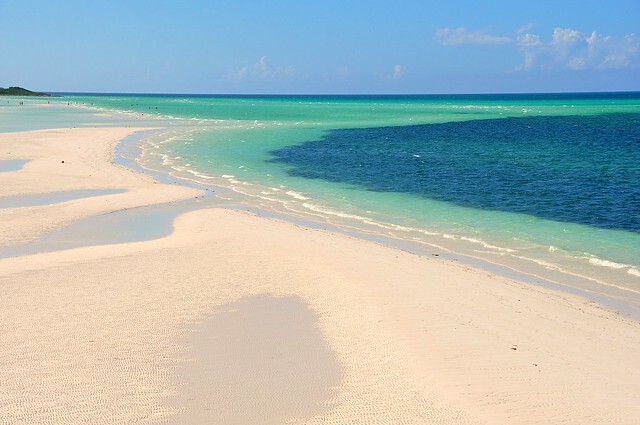 C'é persino una spiaggia dedicata a lui e precisamente alla sua barca: Playa Pilar, una delle più belle di Cuba. Adesso lascio parlare le immagini che, sicuramente, hanno molti più argomenti.Quanto a me..Non resta altro che sognare mentre esco nella nebbia della Pianura Padana. A presto! My dear friends, as you know, if you read my profile, I live in Cremona. It's a nice city that offers a lot of positive aspects because it's small and man-sized, but it has a big defect: the climate. It's almost three weeks that I wake up in the morning and I woul'd like to come back immediately to bed when I open the windows. The reason? A terrible ad persistent fog that never disappear and cover everything with a cloud of gloom. In these moments, I miss the good weather and I remind all the sweet memories. This summer I was in Cuba and Santo Domingo, two real Caribbean heavens. I appreciated these two countries for many aspects. The people that are cordial and joyfull. The architecture and the artistic heritage that, especially in Cuba, are stunning. And last but not least, the splendid Nature that distinguishes these two islands. The sea, above all, with incredible clearness and colors. 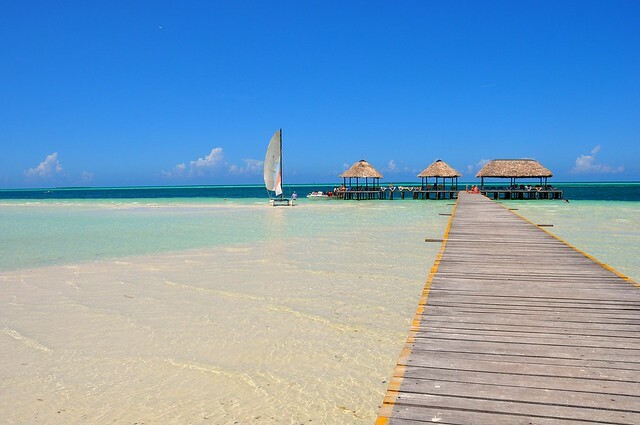 The place that I remember more was Cayo Guillermo, Cuba. A wild, pristine and incredible locality. There are few resorts and a peace that rarely I experimented in a holiday place. It was known for the deep sea fishing and Hemingway was one of the most assiduous visitors. There is a beach that is called Pilar , like his boat. 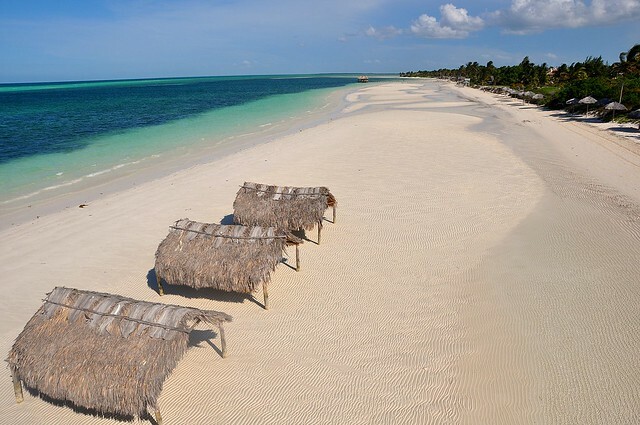 This beach is considered the best of Cuba. 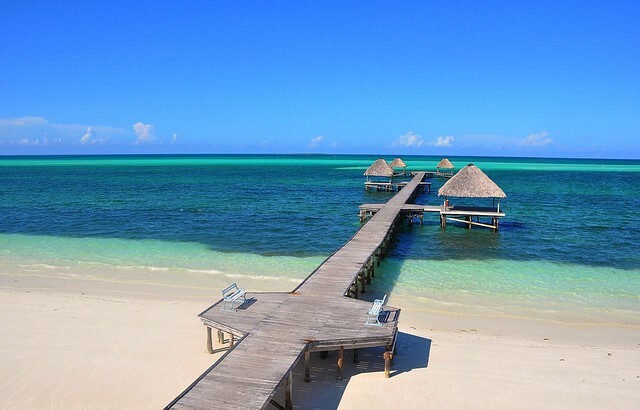 Cayo Guillermo is situated in the north east part of Cuba, to arrive here you have to pass through a stunning bridge that is long 27 kilometers and after Cayo Coco( very nice too! ), at the end of the road, you'll find this charming place. 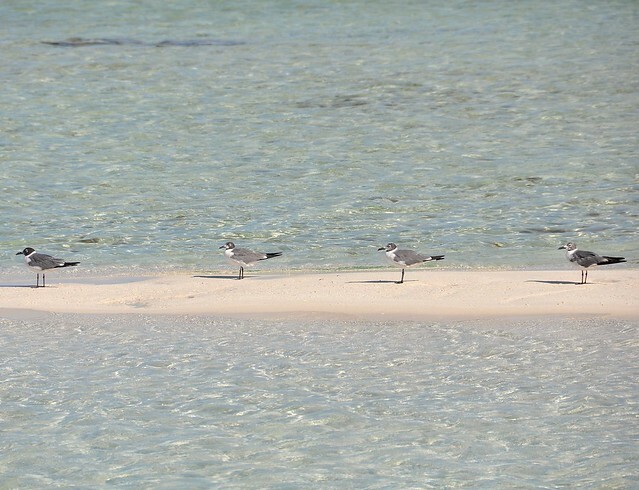 Everywhere you could admire flamingos, barriers reef, beaches with a sand that seems talc. Always impressed in my mind the walks on the fore shore where, after 5 minutes from the resort, it was possible to be alone for many kilometers. The sea gulls's songs, the colorful sea, the sea breeze through the palms. And the horizon that seemed endless. And now, I show you the images that, surely, are very persuasing. As far as I'm concerned...I could only dream when I walk in the Pianura Padana' fog. See you soon! so beautiful.. have you ever been to any other Caribbean island? I think it's such an amazingly fascinating region - not only it's stunningly beautiful but also has such a history! greets and keep up the good job on your blog, I love it! Mariana thank you for your comment on my blog. I love the Caribean, I was a couple years ago in Santo Domingo I love it! I hope I have the time this summer to visit Cuba. Il colore mi ricorda quello delle mie Maldive. Ma durante l'anno, quando consigli di andare? marina sono bellissime..ti assicuro che anche senza essere immersi nella nebbia padana vien voglia di andare!! Ci farò un pensierino...è un paradiso! che meraviglia! bellissime foto, mi ricordano molto il Messico, precisamente lo Yucatan, di cui voglio parlare presto sul mio blog. per Maria Sofia Lorensen : si può andare a Cayo Guillermo da La Habana con l'aereo fino a Cyo Coco e poi in taxi o in autobus. Io ci sono andata in auto perché ho fatto un tour di Cuba. 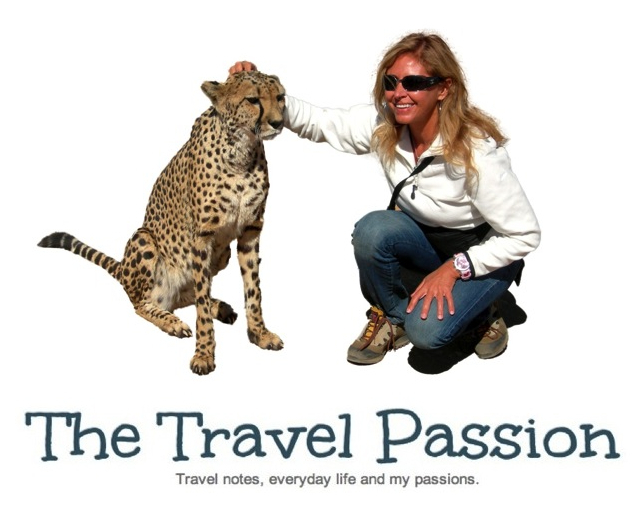 Se vuoi segui il mio blog ..
wow this place is absolutely amazing!! mamma mia che posto stupendo!!! le foto e la tua descrizione rendono benissimo l'idea e la bellezza del posto!! complimenti!! L'inverno ed il suo clima intristisce sempre un po'. Nonostante io abiti in una localita' sul mare, il desiderio di fuggire dal clima freddo e spesso umido, è sempre vivo. looks amazing!!! such a nic eplace! Niente riempie più di un viaggio.. meraviglioso!!!!!!! !che belle foto! !tu stai benissimo!!! Wow Cuba, Australia, and the Mayan ruins. You're incredibly fortunate. They're some beautiful places and I hope some day to visit them all. The waters in cuba are amazing and Shell Beach is such an unusual phenomena. That picture of the dolphin is fantastic. However did you get that? Ok is like a dream! hai catturato i gabbiani in posa!!! !